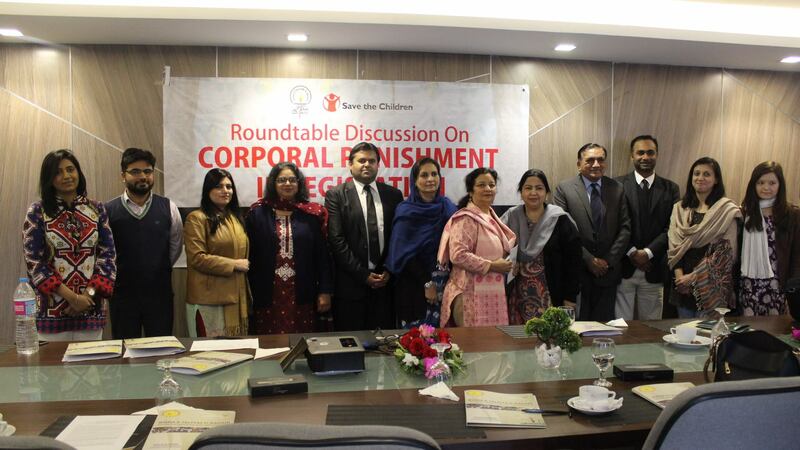 Lahore; December 20th, 2017: Idara-e-Taleem-o-Aagahi (ITA) recently organized a meeting at the Grand Palm Hotel, Lahore with government bodies, parliamentarians and the civil society on a proposal to amend the legislation in Punjab on corporal punishment. Corporal punishment is a method of disciplining individuals by causing physical discomfort/pain/harm in response to negative behavior, such as making a mistake or misbehaving. It can be of varying intensities, such as pulling one’s ear in comparison to hitting with enough strength to leave the person bruised or injured. It is a practice commonly used to discipline children, especially in schools and at homes. Pakistan is among the countries in which corporal punishment is widely used against children, not only violating their rights as a child but causing them significant psychological and even physical damage with the power to negatively influence the trajectory of their future. In consultation with the civil society and certain government bodies, ITA drafted a proposal for the amendment of legislation to ban corporal punishment in all settings in Punjab. This proposal recommended that Section 89 of the Pakistan Penal Code (1860) be removed, Section 328A be made non-compoundable, and that the Punjab Free and Compulsory Education Act (2014) include a comprehensive definition of “corporal punishment and harassment”. In addition, it proposed for the drafting of a new law in Punjab which should mirror The Sindh Prohibition of Corporal Punishment Act (2016). The roundtable discussion was conducted to present this proposal and was attended by representatives of the School Education Department, Home Department, National Commission for Human Rights (Punjab Chapter), a parliamentarian from PTI, as well as relevant civil society organizations (CSOs). The event was chaired and facilitated by Ms. Baela Raza Jamil, CEO of ITA and Commissioner at the International Commission on Financing Global Education Opportunity. Dr. Nausheen Hamid, Member of Provincial Assembly, commended the proposal and advised for it to be presented in the Assembly as soon as possible. ITA agreed on this front, and Mr. Faizullah Khan Tareen, Director of Administration at the School Education Department, and Mr. Adnan Luqman, Law Officer at the Child Protection & Welfare Bureau (Home Department), both offered to meet with ITA and other parties dedicated to this cause to amend the proposal before presenting to the Assembly.